Support cutting edge whale shark research. Adopt a whale shark, give it a nickname, and receive updates each time it's spotted! 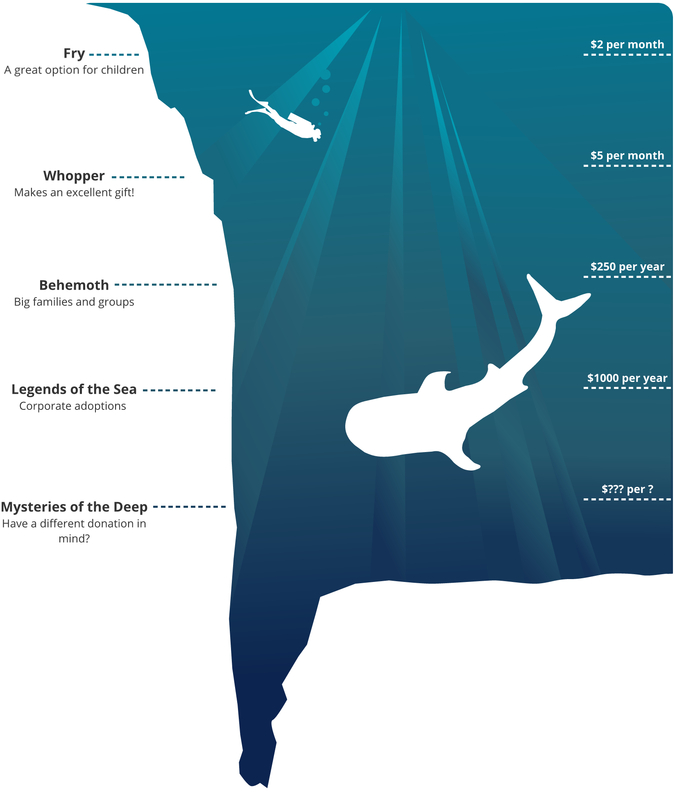 Funds raised by shark adoptions are used to offset the costs of maintaining this global library and to support new and existing research projects for the world's most mysterious fish.